Thank you so much to to everyone who advocated for women’s health during this year’s Think Before You Pink® campaign. We are excited to report back to you about the campaign’s results and successes. For 10 years Breast Cancer Action’s Think Before You Pink® campaign has called out pinkwashers, which put profits before women’s lives. Pinkwashing reached a new low in 2011 with “Promise Me;” a perfume commissioned by the giant of the breast cancer movement Susan G. Komen for the Cure. Through independent laboratory testing, BCAction discovered that Promise Me contains unlisted chemicals that: (a) are regulated as toxic and hazardous, (b) have not been adequately evaluated for human safety, and (c) that have demonstrated negative health effects. Together we took on Komen’s pinkwashing, and your actions resulted in a huge success! 3) Hold Komen accountable and urge them to act to ensure that the products they sell in the name of breast cancer do not increase a woman’s risk of the disease. 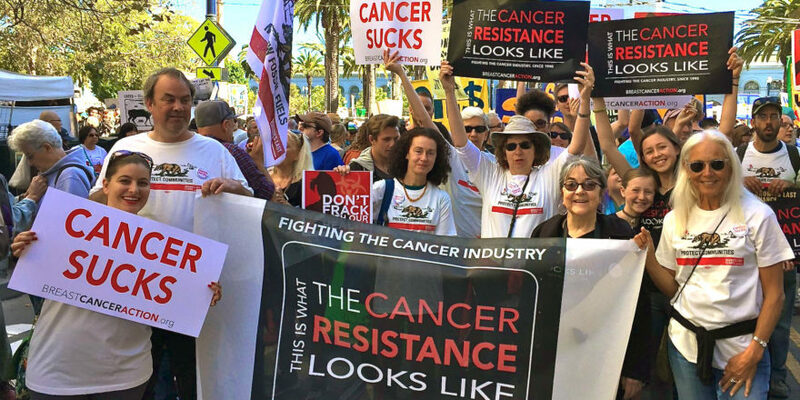 1) BCAction received unprecedented nationwide and overwhelmingly favorable media coverage! We were quoted and featured in Marie Claire magazine, the New York Times, the Dallas Morning News, the Chicago Tribune, and NPR’s On Point, among other media outlets. 1) Demanded accountability from Komen which was forced to respond with a public statement in recognition of the fact that eyes are on them as they move forward with a reformulation of the perfume for release next year. 2) Engaged and empowered activists for women’s health as people across the country turned their outrage to action and shared with friends and families. 3) Changed the conversation about Breast Cancer Awareness Month and pinkwashing as public outcry drew the media’s attention nationwide.